Contact us for current availability and additional details about participating in this fantastic event! 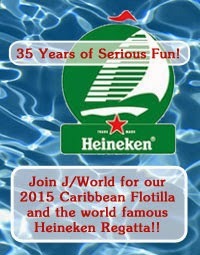 Come have a blast with our J World Flotilla: Four Beneteau 50.5s representing four J/World locations! 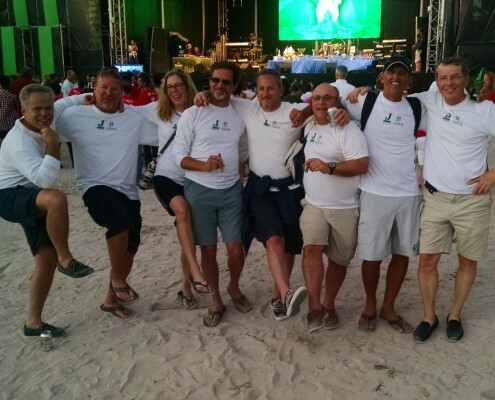 J/World is excited to announce our participation in the fun filled event that is pretty much the pinnacle of winter Caribbean sailing, the St. Martin Heineken Regatta! Check it out here. 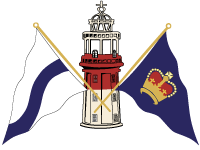 This event had achieved legendary status for the great sailing conditions, over the top social events (parties, concerts, you name it), and incredible fleet. Within the charterboat division, the competition is fantastic: all the boats are the same, and it is white-sails only (no spinnakers) so the racing is close and it comes down to the teams! 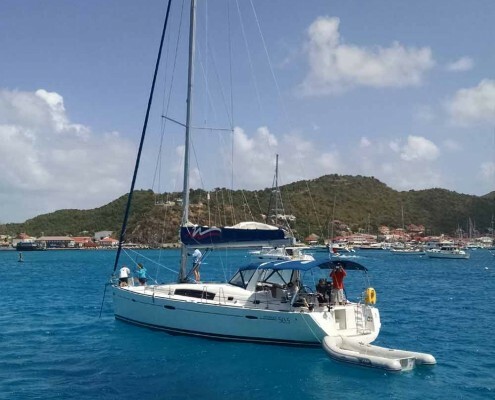 Throw in three days of cruising, a bit of practice, and a jaunt to St. Bart aboard our Beneteau 50.5s, and you have yourself the perfect winter vacation. Accommodations are included since we’ll be staying aboard the boats (they each have four cabins) which makes it nice and easy. 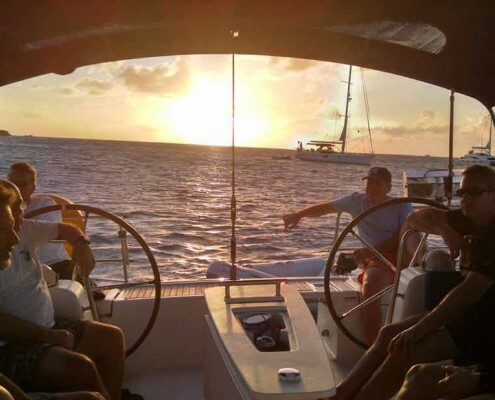 Each boat sails with a crew of six, plus two J/World coaches aboard who will help you get the most of the experience. Get some coaching, have some fun. 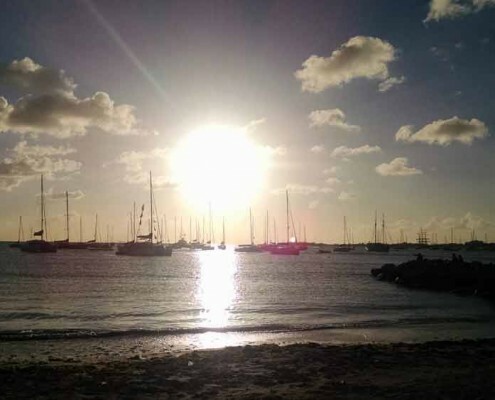 Get your Caribbean fix this winter. 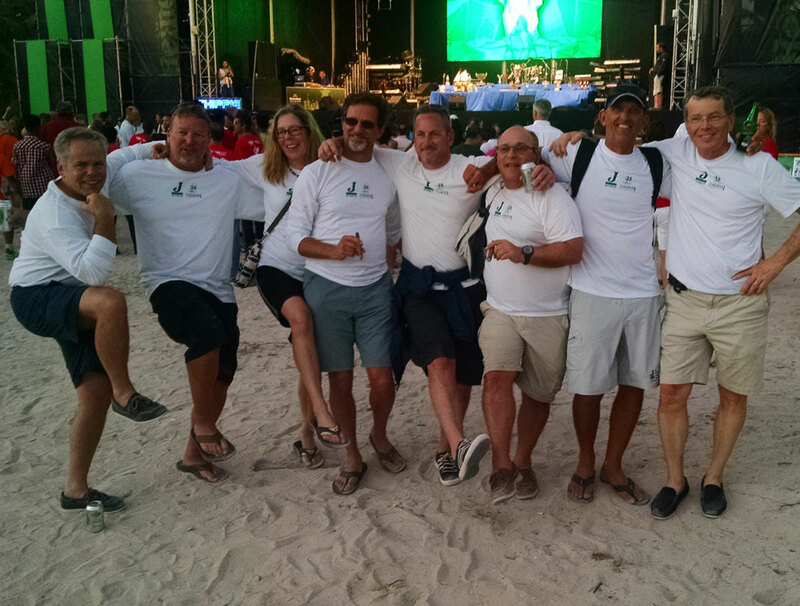 J/World Wins the 2015 Heineken Regatta! Participants arrive in Sint. Maarten on Monday afternoon and rendezvous with the boat at 1700 at the Sunsail Charter Base in Oyster Pond. We’ll have a welcome happy hour, introducing everyone to their team mates and to their boats. 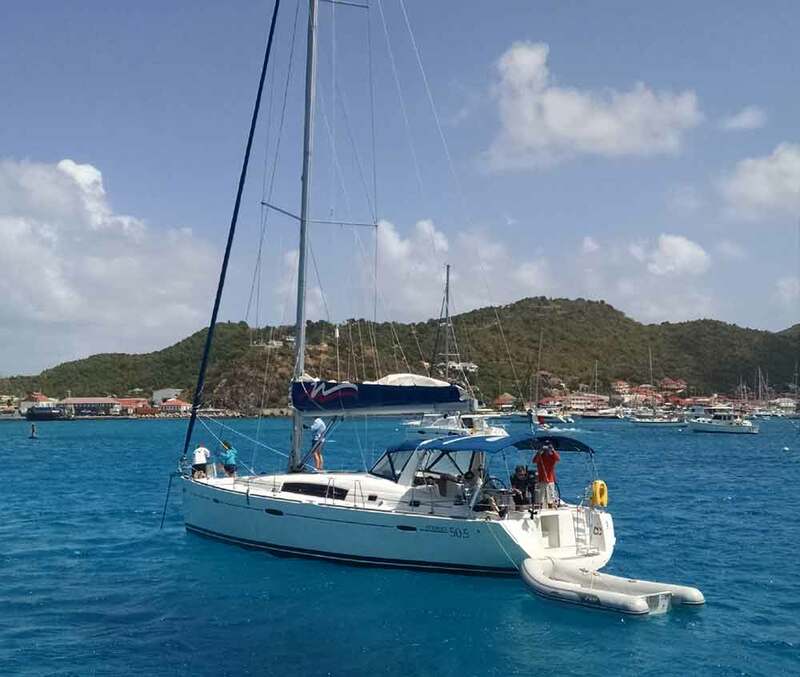 Departing early Tuesday morning from Sint Maarten we will practice sail and make the short offshore passage (20 NM) to St. Bart’s and Gustavia. Tuesday afternoon will be spent exploring the island and making racing upgrades to our syndicate in the privacy of our island training center. Tuesday night we’ll party in the center of Caribbean decadence. Wednesday will be our inshore practice day. Beyond the view of our competitors we’ll hone our racing skills by rotating all of our team through the six positions onboard while match racing our teammates. 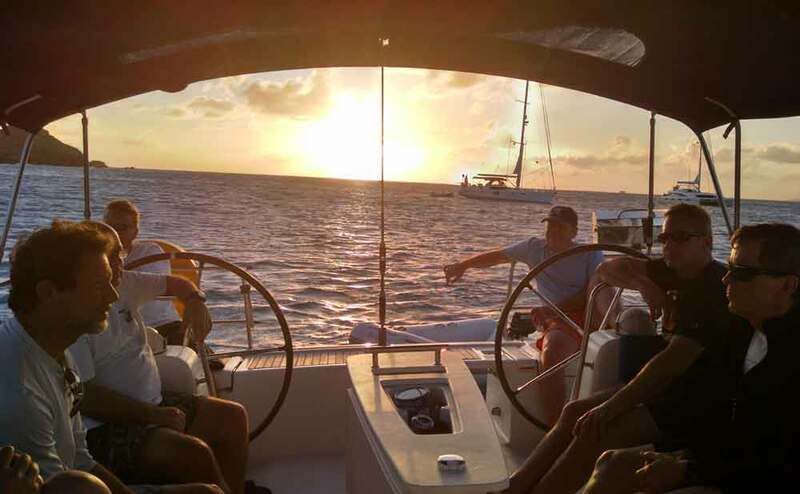 We’ll return to the mooring field in time to enjoy the afternoon ashore and debrief aboard for happy hour. 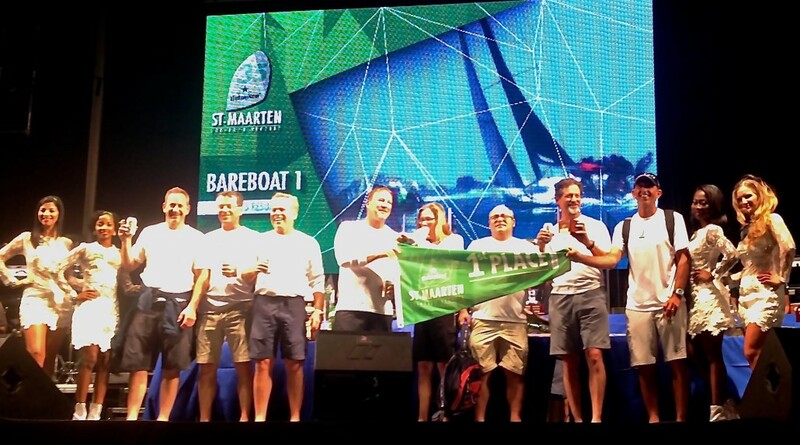 Dinner on board will help us unwind and wake up fresh for the inter-team race back to Sint Maarten. Thursday will be a practice race day with a two stage race with the finish line just off of the Sint Maarten Yacht Club in Simpson Bay. 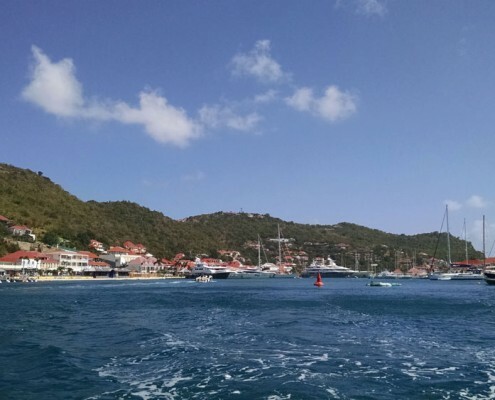 Stage one will be an 5 nautical mile leg to a deserted island where we’ll rendezvous for lunch and snorkel at a great dive spot before restarting for stage two of the race back to Sint Maarten. Thursday afternoon will be spent finalizing registration for the event and meeting our competitors at the opening party at Port de Plaisance. The first day of racing at the Heineken Cup Regatta begins with the Around The Island Race. 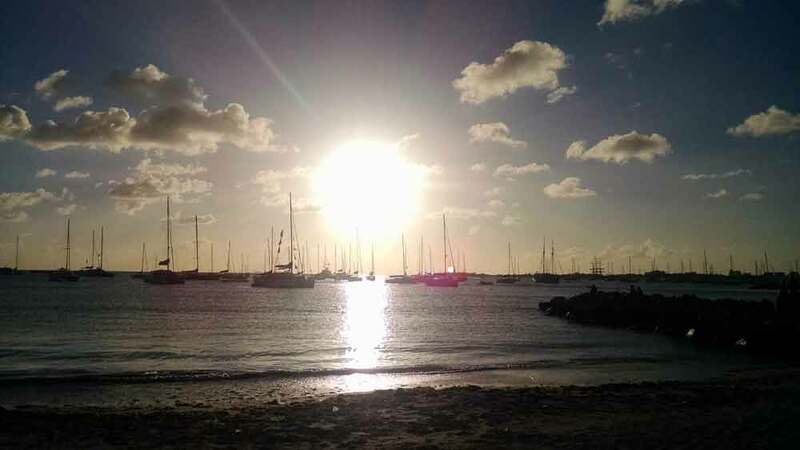 More than 200 yachts – including as many as 50 bareboats, will scramble around the island and finish with a party on the Boardwalk, in Phillipsburg where multiple stages will feature various musical acts. 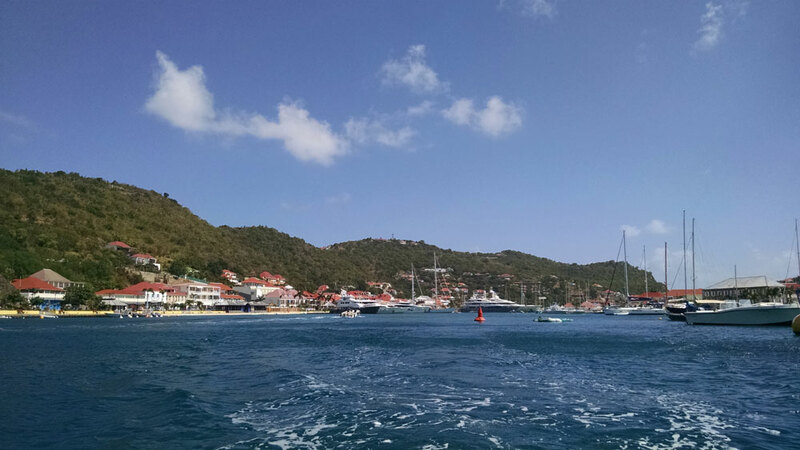 The second day of racing begins in Great Bay, Phillipsburg and consists of a dash to Marigot. The music and partying doesn’t let up – with more bands and more fun on the main stage. The final day of racing is a 12 mile dash back to Simpson Bay for the prize ceremony, and party on Kim Sha Beach. Participants not returning home on Sunday (it is recommended that you fly home Monday) will check into a hotel of their choice for a reintroduction to land life. Stay aboard the Beneteau 50.5s… four cabins per boat! Join all the fun and parties with sailros from around the world!